Pillows are a great way to add color and texture to your small space. 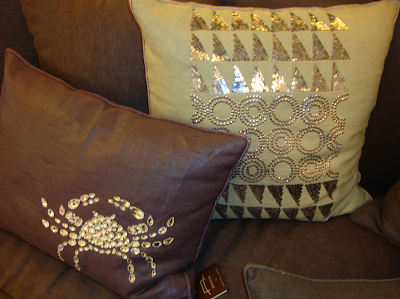 Loving these pretty zodiac pillows that I spotted at Calypso Home. 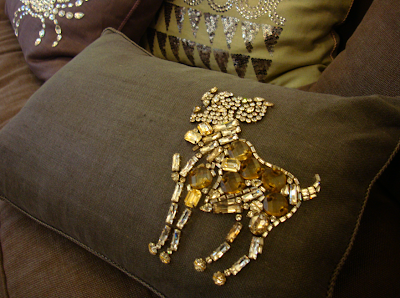 The neutral fabric provide a sweet background to the pretty and sparkly zodiac accent. Fun! These are fabulous!! Love the idea!